Home > Blog > Don’t Whine—Line! As you likely already know, summer camp is a wild place. Sure, it’s a safe, supervised environment, but kids are encouraged at camp to expend their energy and with that energy comes a quick pace and reckless behavior. What I’m trying to say is that accidents happen at camp. Gear at Everything Summer Camp is reliable and steadfast against the summer camp lifestyle. But we have options available for added protection for certain products. Our C&N brand camp trunks are as tough as they come, but no matter how tough we make them, the interior wood will stain from a thoughtless spill or smear as well as damaging scratches and nicks. Enter our new Footlocker Trunk Liner Bag. Dress the inside of your camp trunk for protective purposes when you bring it to camp. Somewhat like the lining you’ll find in a suitcase, our Liner for C&N Trunks is actually thicker and more durable than your typical liner. It’s water-resistant too for protective reassurance. 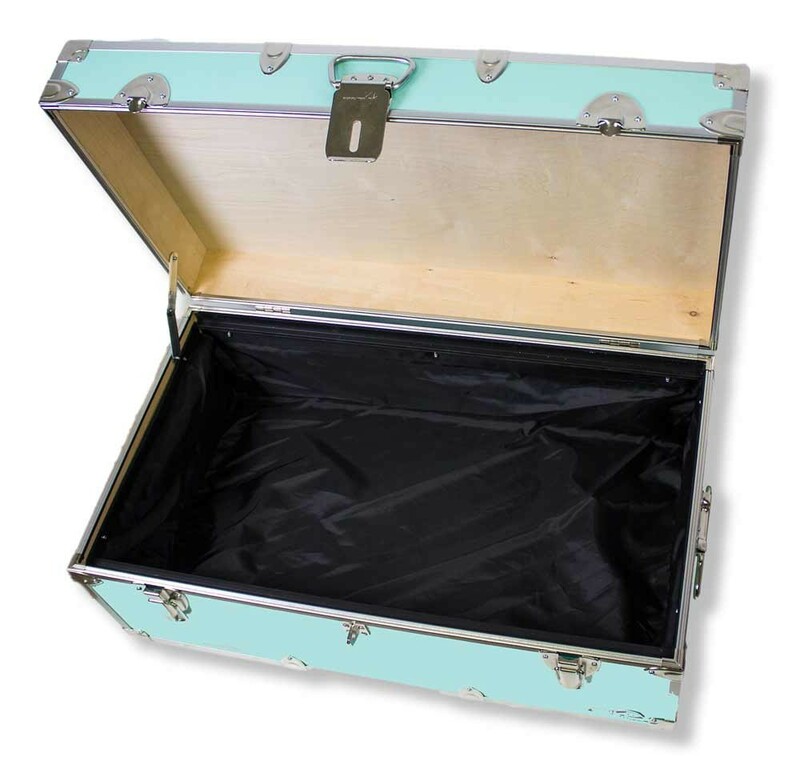 Made of nylon and very durable, this protective Trunk Liner attaches to the interior easily with ten simple screws. We offer two different sizes of these Footlocker/Trunk Liner Bags—one for our Happy Camper and another which is given dual fastening locations so it’s equipped to line your UnderGrad Trunk as well as the Graduate Trunk. Just as easily as it attaches, you can remove this Liner Bag for a simple cleaning when required. Bring convenience to keeping the interior of your camp trunk tidy and clean with our Footlocker/Trunk Liner Bag—a new addition to our Trunk Accessories. Keep the beautiful interior birch plywood out of harm’s way and treat your trunk to this protective T runk Liner! To order one for yourself, click here. And, as always, thanks for reading.